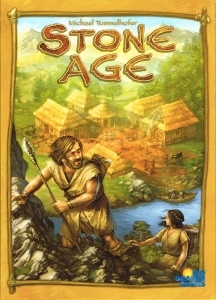 The winner of the 2012 Snakey Award for the "Game We Just Can't Stop Talking About!" Anyone who's played Dungeons & Dragons or any of the numerous D&D inspired RPGs and video games knows the trope of the mysterious cloaked individual at the bar who has a quest to complete. In Lords of Waterdeep, players do not play as the brave warriors and wise wizards that go on the quests, but instead as the cloaked individual. 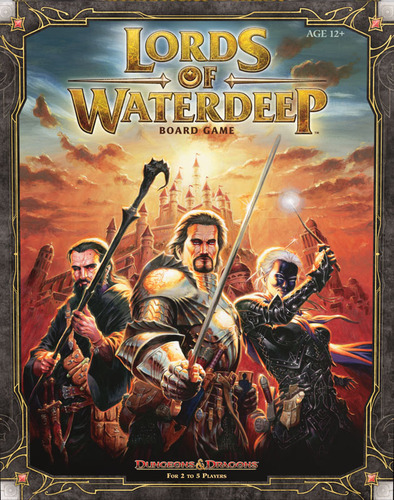 Lords of Waterdeep is a worker placement game set in the fantasy city of Waterdeep. 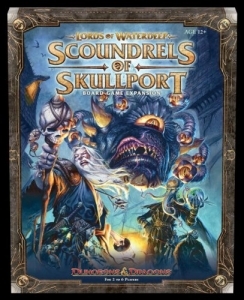 Use your minions more effectively than your opponents can to secure the adventurers you need to complete your quests and earn victory points for your secret lord.Lords of Waterdeep lets 2-5 mysterious and cloaked players vie for control of the great city for upwards of an hour.